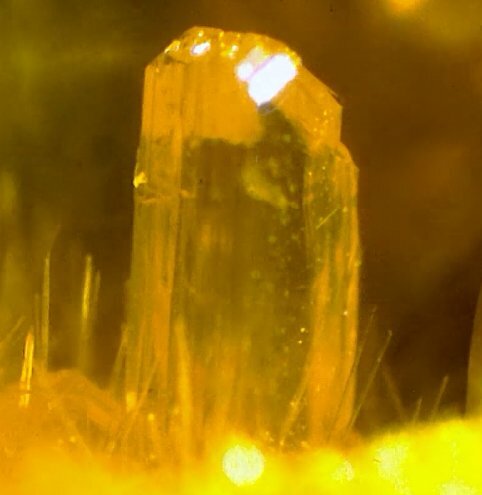 Comments: Clear, yellow crystal of billietite. Location: Shinkolobwe mine, Tantara, Shaba, Dem. Repub. Congo.